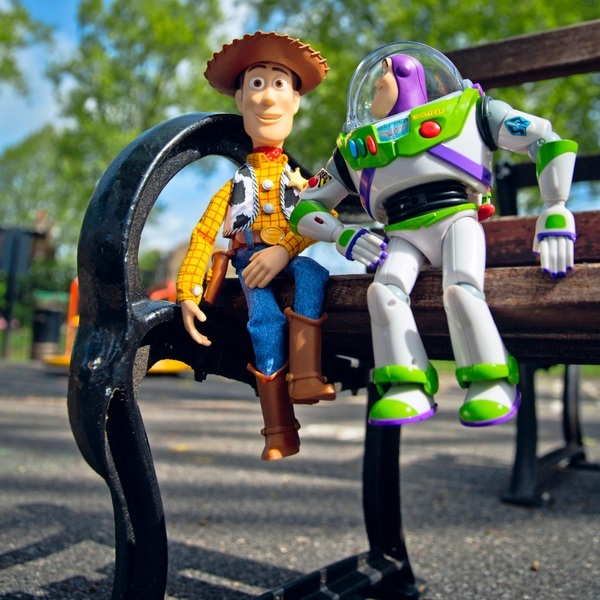 Amazing interactive Woody and Buzz from Disney's Toy Story. Start one figure talking and the other responds! Over 100 Toy Story phrases with stand-alone talking and interactive modes for each figure. Pose able Buzz has a light up laser button with sound effects. Pull the string on Woody to hear him talk! Press the buttons on Buzz to hear him talk and see him move!